Lincoln Park condos consist of well-appointed townhomes in a master planned community in Lone Tree part of Ridgegate. There are three plans to choose from and offer 2,500 + square footage, 2 or 3 bedrooms and 2.5 - 3.5 bathrooms. Rich hardwood floors, sprawling gourmet kitchen, private deck off of master suite and attached garage are just some of the high end finishes that abound. The private courtyard has a gasline for either an outdoor fireplace or BBQ. 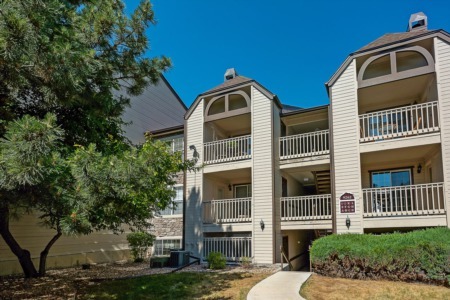 Close to Light Rail and all major highways for easy access to the mountains or downtown Denver.